For some types of events, it is common for organizers to provide an elevation profile. You see this a lot in ultra marathons and long distance cycling events. In this article, I share a way to borrow from this concept and use it to excel at emotional management. This is an area all too often overlooked by endurance athletes. It’s also a key secret sauce ingredient for learning how to thrive in adversities that crush others. I call this concept the Emotional Elevation Profile. First, What is an Elevation Profile? Let’s start with a basic elevation profile. An elevation profile plots a course into a graph that helps athletes plan for terrain on a given route. The graph shows the distance on the X axis (horizontal) and elevation on the Y axis (vertical). In some races, this graph looks like a smooth sine wave of rolling hills. In others, it is a jagged saw, with steep climbs and descents and very short distances on the peaks and valleys. Studying the elevation profile gives athletes a sense of the terrain to expect and a method of estimating the resulting pace. Racers may take away insights into the relative challenge of various sections of the course and use this to prepare logistically and mentally. For competitive athletes, the profile shows opportunities for tactical moves. 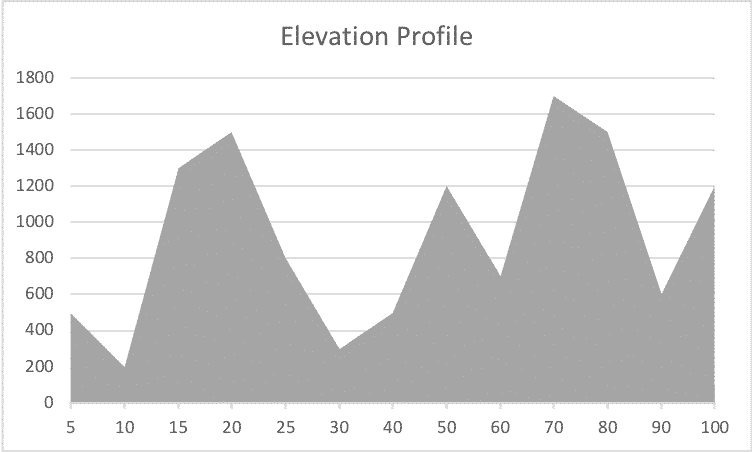 Elevation profiles make it clear to everyone what to expect in terms of when the terrain goes up and down during a race course. If the profile shows a steep climb for the first 5KM, no one should be surprised when they spend the first 5KM going uphill! Here’s an example of an elevation profile, noting some steep terrain over a 100KM (62 mile) course and spanning an elevation gap of 200 meters up to 1700 meters above sea level. This profile would excite some athletes and leave others very worried! Personally, I love these types of saw-tooth profiles, as it means adventure awaits! What does this have to do with emotions and racing? A lot, actually! We are going to borrow from this concept and apply it to emotional peaks and valleys. It is rare for an athlete to complete a race, especially a long one, without experiencing a range of emotions. It is human nature. We know this, but often forget it. 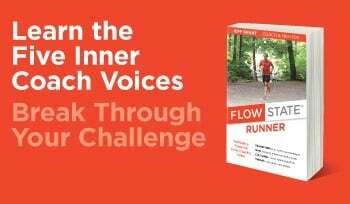 As I discuss in Flow State Runner, the impact of your emotions has enormous make-or-break potential on your running experiences. You have an opportunity to get in front of that impact by creating and training with what I call an Emotional Elevation Profile. To make an Emotional Elevation Profile for a race, take a sheet of paper and sketch out the keys for a race distance on the X axis (horizontal) and an emotional score on the Y axis (vertical). See the example below. Replace the concept of elevation points with potential emotions you may experience along the way. Plot high, positive emotional states as peaks (toward 12 on the Y axis). Plot low, negative emotional states as valleys (on the zero end of the Y axis). 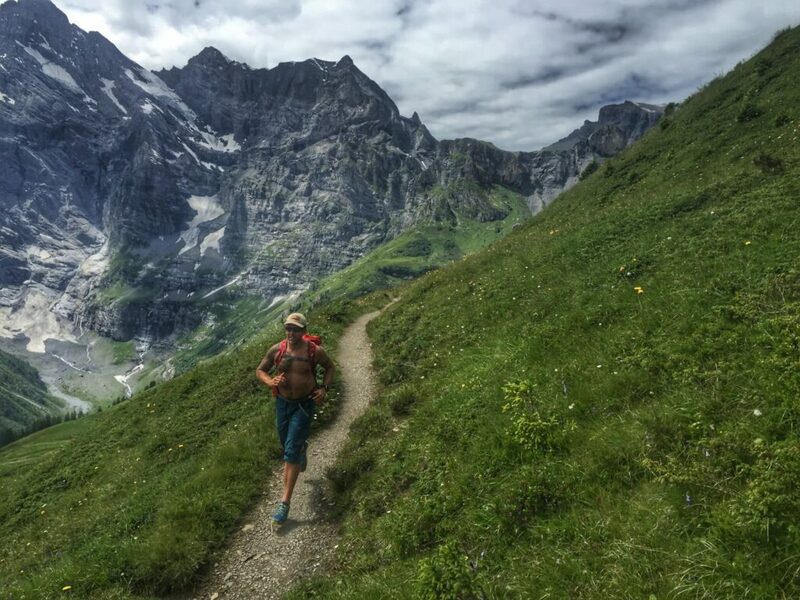 These emotional waypoints may be linked to logical moments, such as terrain features (during a steep climb), distance (late in the race), aid stations (after receiving support), and other predictable moments along the course. They may also be plotted as random surprises, moments of sudden euphoria or doubt, and reactions to weather changes and other unexpected events. Keep it simple at first. Start with just envisioning that you may feel great early in the race. Plot a point high on the emotional scale at that point. Envision next that you may feel frustrated or doubtful later in the race and plot that low on the emotional scale. Check out this image for an example. Once you’re comfortable with how the profile works, start experimenting. Make at least three versions of your simulated emotional elevation profile per race. The first one will reflect an extremely positive emotional experience throughout. The second one will represent a very challenging negative emotional experience. Lastly, the third one will include a mix of ups and downs. Build in logical waypoints (when there is high likelihood of feeling a certain emotion) and surprise emotional states. You may be asking, “How in the world can I predict my emotional state?” Fair question. But keep in mind, this is only a simulation game and a tool for mind training. Emotional states may be driven by many factors, often unpredictable. You can however predict that you will experience a range of emotions in a long event, so just play with this as a tool. This exercise serves its training purpose even when you are making educated guesses based on your prior experiences and self-knowledge. And chances are you know yourself well enough to guess reliably! Here’s the super important part. Visualize going through the race according to each profile you drafted. In your mind, see your reaction, facial expressions and body language under each emotion as you run through the course. See your reactions in all their honest detail — the good, bad, and ugly side of all emotions. Pay particular attention to all the moments of negative emotional states. Mark an X on the profile noting an opportunity for an early interdiction. That is, note a moment when you need to pay attention to the emotion, take control, and redirect it, before it takes control of you. Here’s an example: in the profile above, at 62KM, you know this section will be at night. You imagine having a negative impact to the sudden appearance of a cold rainstorm. Next, you visualize feeling the impact of the worsening weather. You see the potential for your reaction to turn into a downward negative spiral. Instead of allowing this, you see yourself taking charge of your emotions immediately and using the weather as a source of positive energy, knowing that you have the mental power to get through it. You see yourself getting hammered by the wind and rain, and smiling through it all. You see yourself laughing at the insanity of the race and feeling gratitude that you’re strong enough to endure. In short, you are practicing in your mind that you encounter an adversity, deal with it, and thus avoid an upcoming emotional valley. Visualizing this process is a powerful tool in training you to steer your performance through emotional adversities that happen to all endurance athletes. The more time you spend visualizing and training this, the better prepared you will be to react the way that best serves you when you encounter this in a race. You can use this process on shorter training sessions, as well as life. For example, envision looking at an upcoming work project and seeing the expected peak moments of high volume, high focus work. Perhaps you see this in the days before a deadline or presentation or when you know client demand will likely spike. Then, envision the moments of lower intensity education and planning work. That maps to the elevation profile, showing the steep climbs and descents. Next, imagine where emotions and stress may be high or low based on workload. These are the logical waypoints. Throw in some unexpected peaks and valleys as well, as emotions often arrive unexpectedly and off-script. 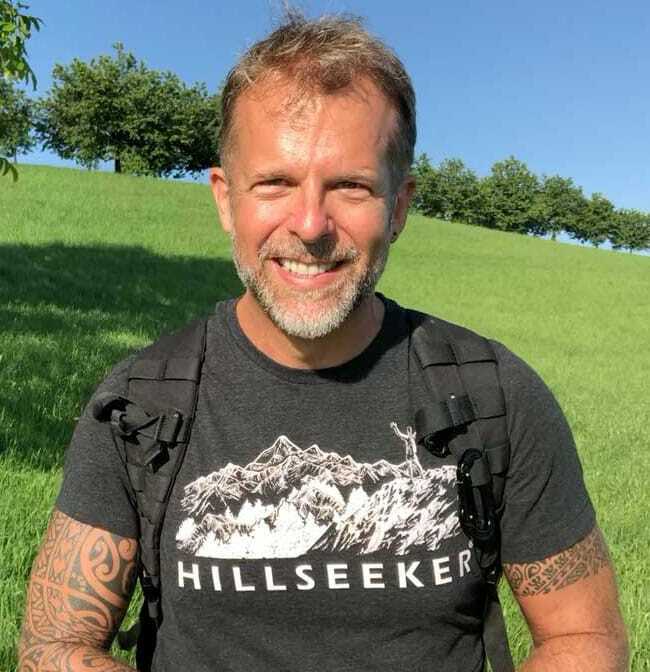 Then, visualize how you can best respond emotionally to these peaks and valleys, and any interdictions how could take to prevent sudden dives into negative valleys. 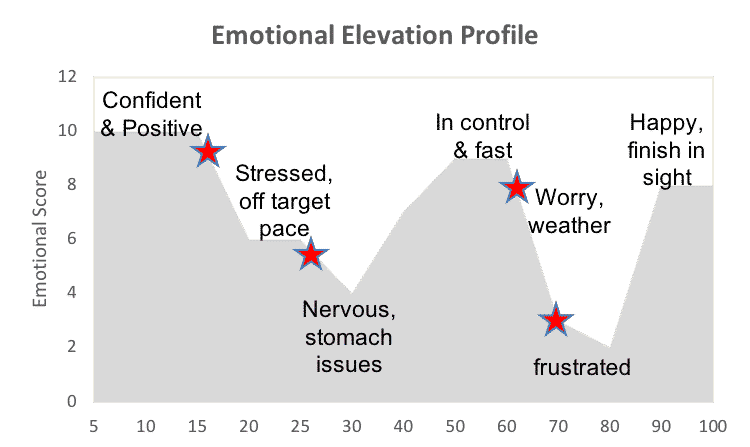 Another valuable exercise is to map a prior race or life experience into an Emotional Elevation Profile. Review where it fits logical waypoints, other variables you encountered along the way, and where surprise emotional states arrived. 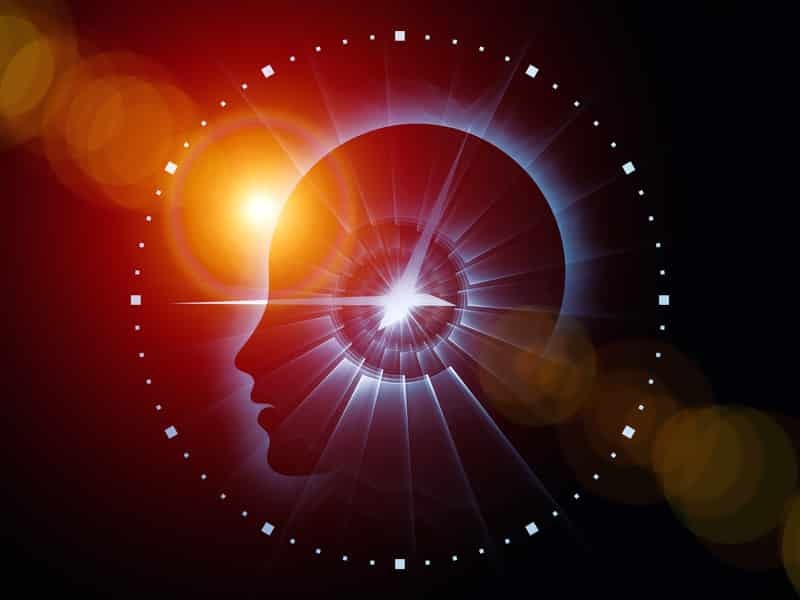 See your ability to visualize your various emotional states as a Flight Simulator, a tool that you can use at will to test various scenarios and strengthen your emotional resilience. Mind Training isn’t always easy, and often isn’t tangible. Your willingness to get uncomfortable and do the work is what will set you apart from your competition! Give this tool a try and let me know how it works for you.